Wayne State University Press, 9780814331583, 209pp. Most information regarding the French Canadians in Michigan concerns those who settled during the French period. However, another significant migration occurred during the industrial period of the nineteenth century, when many French Canadians settled in the Saginaw Valley and on the Keweenaw Peninsula--two regions characteristic of Michigan's economic development in the nineteenth century. The lumber industry of the Saginaw Valley and the copper mines of the Keweenaw Peninsula provided very different challenges to French Canadian settlers as they tried to find ways to adapt to changing environments and industrial realities. The French Canadians of Michigan looks at the factors behind the French Canadian immigration by providing a statistical profile of the migratory movement as well as analysis of the strategies used by French Canadians to cope with and adapt to new environments. Using federal manuscript censuses, parochial archives, and government reports, Jean Lamarre closely examines who the immigrants were, the causes of their migration, their social and geographical itinerary, and the reasons they chose Michigan as their destination. 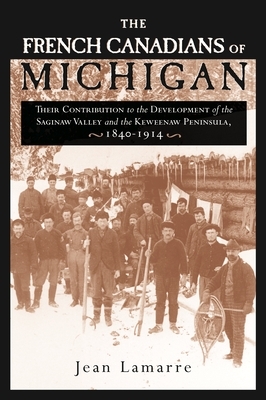 Besides comparing the different settlements in the Saginaw Valley and the Keweenaw Peninsula, Lamarre also compares the Michigan French Canadians to the French Canadians who settled in New England during the same period. This book is a major contribution to the study of the French Canadian migration to the Midwest and will be valuable to researchers of both Michigan and French Canadian history. Jean Lamarre is Associate Professor of History at the Royal Military College of Canada.